One of the polishes I won was the lovely Klein Trink Wassser. Klein Trink Wasser is a rich, royal blue creme. 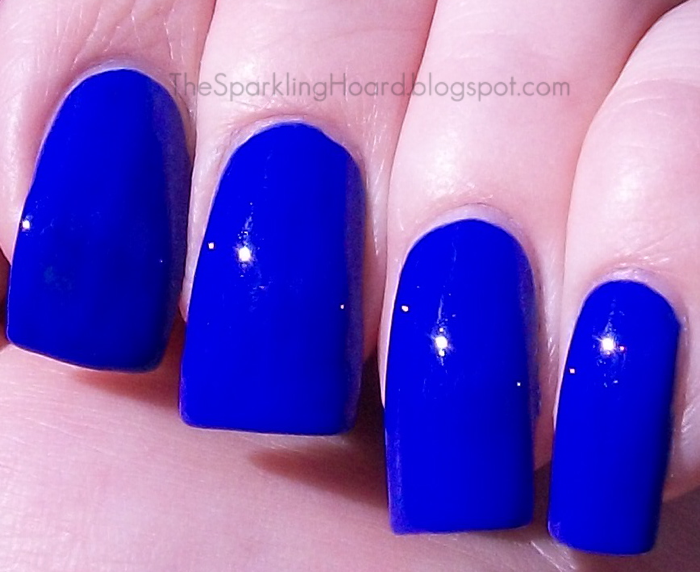 It's one of those "wow, that's really blue" shades, along the lines of Nails Inc. Baker Street. Klein Trink Wasser has a great formula, applying beautifully, easily, and evenly. 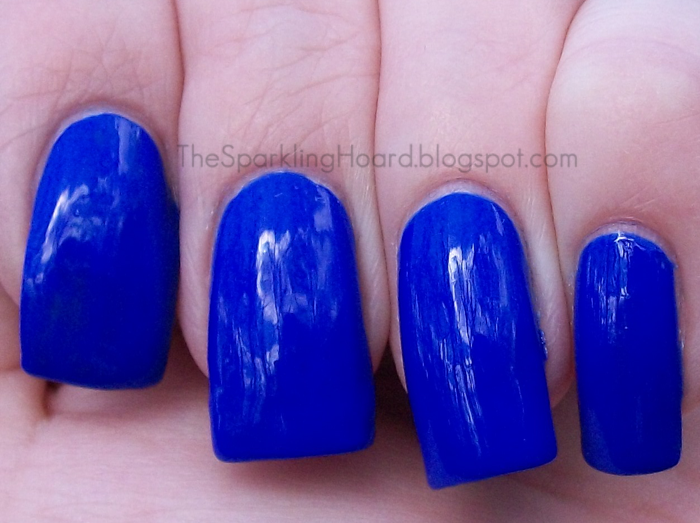 Full opacity can be achieved in just two coats, though you may need 3 if you tend to do very thin coats. 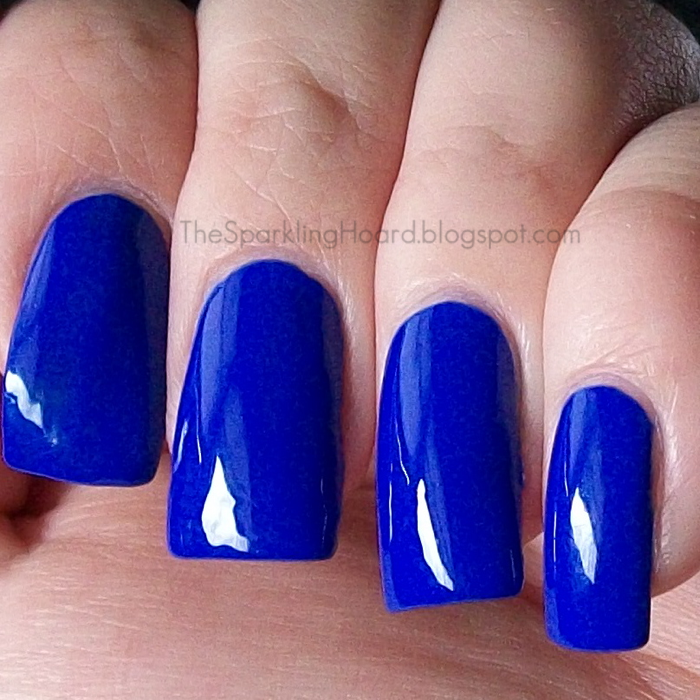 It dries to a semi-matte finish with an almost gritty texture, so I recommend adding top coat. Dry time was fast. Great blue, right? This was an awesome addition to my collection! Indigo Bananas Klein Trink Wasser costs $10 for 15mL or $4.50 for 5mL. You can buy Indigo Bananas products in their Etsy shop. and you can stay up-to-date on the latest Indigo Bananas news by Liking their Facebook page. Indigo Bananas also has a website, found HERE. I won this product in a contest.